The University of Tennessee Medical Center and the UT Graduate School of Medicine rely on the generous support of grateful patients, physicians, nursing and other health professionals, employees, alumni and friends to embody our compassion to restore, our passion for teaching and our spirit of exploration. 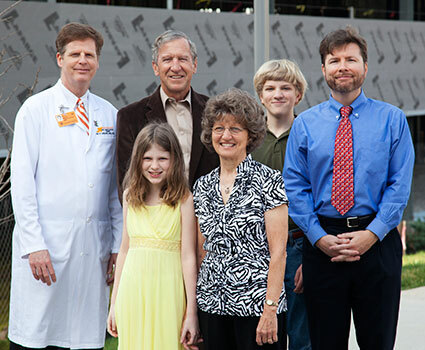 Gifts to programs within UT Medical Center and the UT Graduate School of Medicine have a tremendous impact. 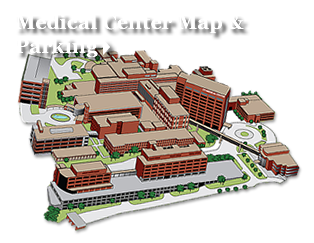 They support gift funds benefitting patient care, education, research and public service in all areas of the Medical Center. This Kelly L. Krahwinkel Endowed Chair Fund supports the department's initiative in oral/head and neck cancer diagnosis and surgical treatment as well as honors our academic mission in education and research. Most importantly, the endowment provides a permanent legacy for Kelly L. Krahwinkel and her great family who support and wish to promote our mission for patient care, education and research. The R. Ben Alley, D.D.S. Oral and Maxillofacial Surery Fund supports a biennial endowed lecture in the Department of Oral and Maxillofacial Surgery in memory of Dr. R. Ben Alley, a former faculty member. The John E. Sullivan, D.D.S. Oral and Maxillofacial Surgery Fund provides an ongoing biennial endowed lecture for residents, dentists, physicians and other health care professionals throughout East Tennessee, in memory of Dr. John E. Sullivan, the former chairman of the Department of Oral and Maxillofacial Surgery. The Oral and Maxillofacial Surgery Chairman's Fund provides and ensures continued excellence in the Oral and Maxillofacial Surgery Residency program and promotes faculty development. To make a donation or to learn more about how you can make a difference, call 865-305-6611 or e-mail the Development Office. The UT Medical Center and the UT Graduate School of Medicine are not-for-profit organizations, and all gifts to UT Medical Center and the UT Graduate School of Medicine are deductible to the extent of current IRS guidelines. It is my great privilege to introduce the Kelly L. Krahwinkel Chair in Oral and Maxillofacial Surgery. I met Mrs. Krahwinkel in the fall of 2007. During my first consultation appointment with her, I realized that I was helping a remarkably courageous patient who was determined to conquer her disease. She was accompanied by very supportive family members including her parents, husband, and children, all of whom invigorated tremendous hope within her. I ultimately diagnosed Kelly with a very aggressive variant of adenoid cystic carcinoma of the submandibular salivary gland and cervical lymph nodes that would take her life some 13 months later. During the time that I cared for her, Kelly never lost hope and always remained optimistic. She was the pillar of physical, emotional, and spiritual strength until the end and I shall never forget her. Her resolute example continues to be a role model for all head and neck cancer patients. The time has come to properly memorialize her name. This endowment will support the department's initiative in oral/head and neck cancer diagnosis and surgical treatment realizing our dream for enhanced clinical integration in the new Cancer Institute as well as honoring our academic mission in education and research. Most importantly, the endowment will provide a permanent legacy for Kelly L. Krahwinkel and her great family who support and wish to promote our mission for patient care, education and research. Providing cancer surgery to patients brings great personal fulfillment to me and my colleagues. It is an honor that our skills present the opportunity to assist patients in their struggle against their cancer, to educate residents and fellows, and to make clinically relevant observations during therapy that will help future patients. Conducting translational research assists in these initiatives, as well. The opportunity to achieve such goals is precisely why I accepted my position at the University of Tennessee Medical Center in 2002. Thank you for your consideration of support of the endowed Chair in Oral and Maxillofacial Surgery at the University of Tennessee Graduate School of Medicine. In the name of Kelly L. Krahwinkel and her family, we will continue our objective to provide the finest surgical care for patients with oral/head and neck cancer. Learn how you can contribute to this endowment by contacting the Office of Development or visit Ways to Give.